The Center offers a variety of adult craft classes. 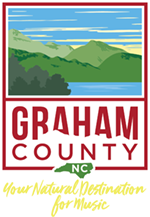 You could learn jewelry making, soap making, gourd crafting, knitting, quilting, beginning watercolor and more. The Textile Studio offers business and technical assistance to develop textile entrepreneurs in the community. The Studio offers classes to help you develop artistic techniques in sewing, quilting, weaving, knitting, crochet and more. 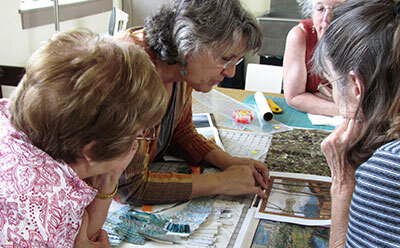 Appalachian Arts classes are funded in part by the Blue Ridge National Heritage Area and the NC Rural Center. Sit n’ Stitch group meets weekly on Fridays at Stecoah Valley Center starting at 9 am. All crafts and skill levels welcome. Please call 479-3364 for information. Stecoah Valley Center offers a variety of adult classes from culinary workshops to arts and crafts classes, as well as learning opportunities in how to market and run your craft-based business. Click on a tab below to find the right class for you. And check back often, or give us a call to find out what classes are planned for the future. Prices and hours vary; please note details before you register. Preregistration is required. Register online (see below) sign up in the Gallery or call to register. Payment upon registration is preferred. Scroll down and click on any headline to view other classes. Sara Claire Curran is passionate about empowering people. As a certified Mandala facilitator, Sara will help you explore a simple way to tap into and trust your inner light, wisdom, intuition and connection with Spirit. No art experience or skills necessary. All supplies provided. This one-day workshop is an introduction to cold wax / oil intuitive painting. With helpful demonstrations and exercises, students will learn techniques for applying this versatile medium to create rich surfaces and textural abstract designs. No art experience or skills necessary. Minimum 5 students; maximum 12 students. Melba has been an art educator and professional artist for over 35 years. She has had numerous solo exhibits of her cold wax paintings. The Cherokee Booger Mask were made as representations of enemies and worn during the Booger Dance to aid the Cherokee in serious aspects of day to day life. In this workshop you will learn about the history of the Booger Mask and create your very own mask. Instructor Billy J. Welch will guide you through the process of creation. No experience needed and all supplies provided. Minimum 5 students; maximum 10 students. The UNESCO Atlas of the World's Languages in Danger labeled the eastern dialect of Cherokee as severely endangered in 2010. There are roughly 226 fluent speakers of the Cherokee language. Instructors Roger Smoker and Micah Swimmer are working diligently to change that. 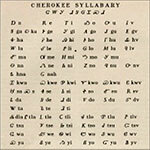 This class is an introduction to the Cherokee Syllabary, pronunciation of sounds, and greetings. The class will be 2 nights a week for 3 weeks. Each student will be given a syllabary to take home. Instructor Ramona Lossie is a native Cherokee basket weaver. She grew up in the Paint Town community of Cherokee and learned basket weaving from watching her mother and grandmother. Her baskets are on display at the Smithsonian Institute in Washington D.C. 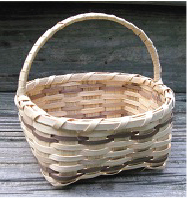 In this class students will learn to weave a small basket made of white oak reeds. No experience necessary. All materials provided. Minimum 5 students; maximum 10 students. In this workshop you will learn the history of the Cherokee river cane mat, and the process of collecting and preparing the river cane. No experience necessary. All materials provided. Minimum 5 students; maximum 10 students.